Tired of trying to see students over the piles of books and supplies stacked on their lab tables? Book boxes provide an accessible place for students to keep their belongings so nothing will get in the way of experiments. Give your budding young chemists an appropriate venue for experiments with Chemsurf lab tables from Allied Plastics. 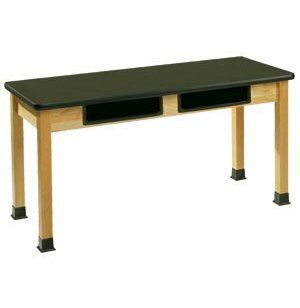 These sleek, durable science tables will serve your students well as they learn, explore and develop their skills. 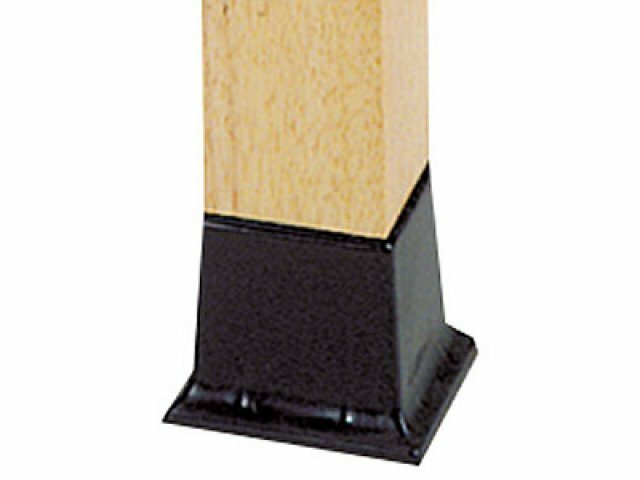 With the support of solid hardwood legs and aprons, you can be sure that these tables will stand up to many years of use. 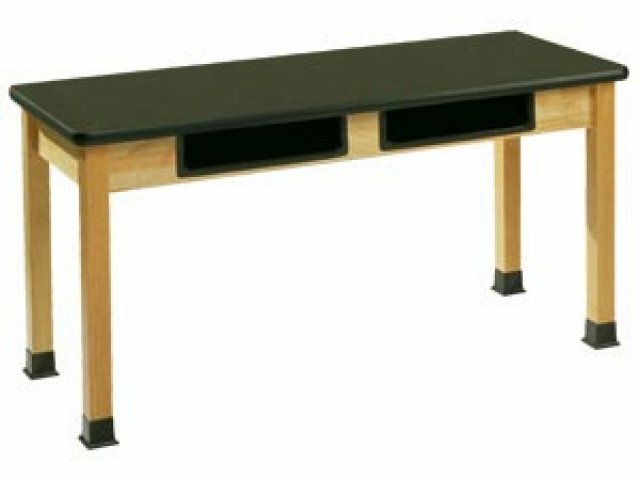 The most important feature of a lab table is the work surface material. Chemsurf chemical-resistant high-pressure laminate tabletops are resistant to a majority of chemicals and stains. Their edges are protected by T-mold banding. With this arrangement, you don't have to worry about accidental bumps or spills damaging your science lab tables. Convenient Storage: 4 Book boxes, 2 on each side, give students a place to put their textbooks, notebooks and other school supplies. Chemical Resistant: Chemsurf tops will not get damaged by most chemicals and stains but have limited resistance to high temperatures and severe chemicals. 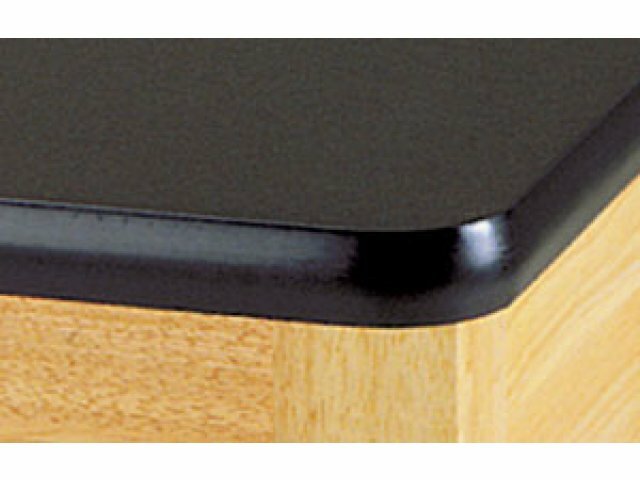 Edge Protection: Vinyl T-mold banding prevents nicks and dents in table edges. Sturdy Support: Tables are held up by solid hardwood legs and aprons so they will remain steady through dissections and delicate procedures. Cooperative Learning: Seats up to four students for group work and collaborative experiments.